The Salesforce IQ integration allows you to create a new Salesforce IQ contact from a Blitzen form. Note that you have to have a Salesforce IQ account in the Growth or Business tier to use this integration. This is due to the fact that Salesforce IQ only opens their APIs at these price-points. Give it the name of 'Blitzen' and note down the 'Key' and the 'Secret' codes. Navigate to the ‘Integrations’ section in the left-side panel and click on the ‘Salesforce IQ’ app. You will be asked for the key and secret codes you got in the last step. Enter these into their designated text-boxes. Choose a form or survey to work from (How to Choose an Input). 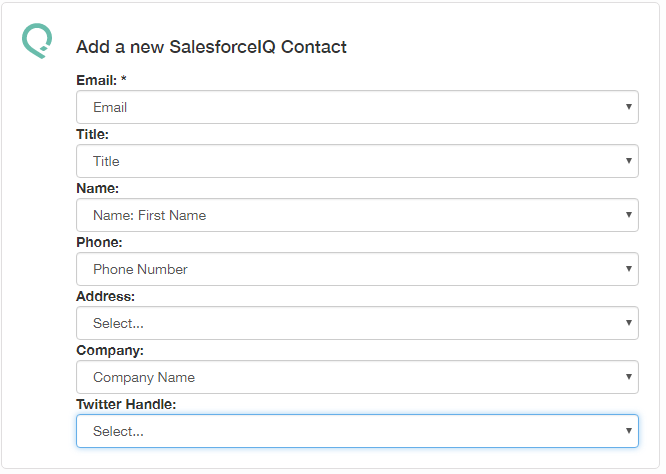 The only type of form you can use the Salesforce IQ with is one that contains the 'Name' as well as the ‘Email’ fields. 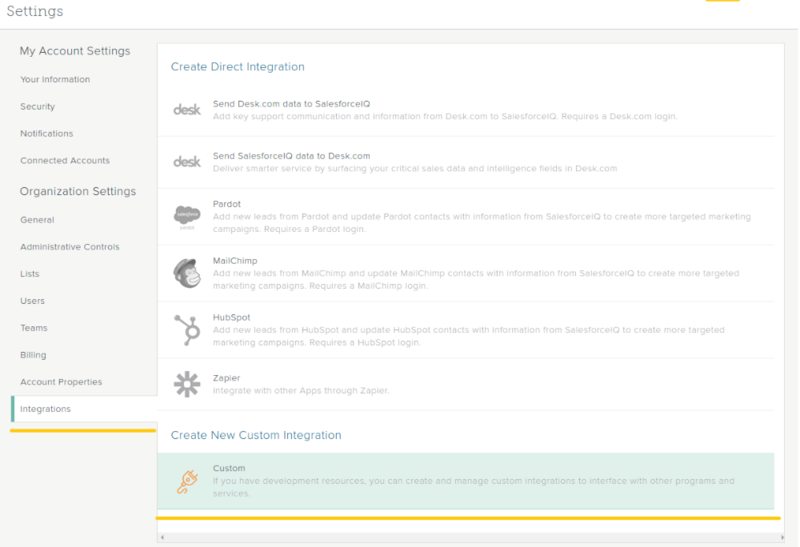 Drag the Salesforce IQ App over into your workflow. You can configure the app by clicking the ‘+’ icon. The default setting is to sync all submissions from the input form or survey. If that is what you wish to do skip the Filters section. If you do not want to sync all submission simply add filters. Click ‘Add custom filter’ and use the three fields to create a segment. Use the drop-down menus to map the fields from your form to the Salesforce IQ fields available. It's alright if you don't get all of them. Just get as many as you can.